Here's a performance of the song Heavy Cross by The Gossip on a German TV show last year. 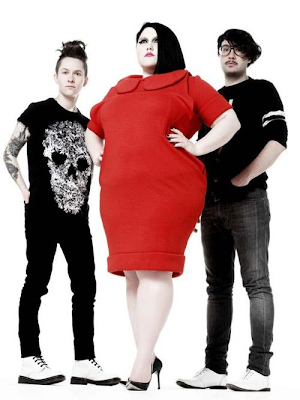 It's performed live and Beth Ditto really gives the song her all. I think it's one of the best songs from the past few years. The Gossip for most people is Beth Ditto but I think the band collectively are fantastic musicians and are role models for the next generation of bands.